This is part two in a series of three posts that will look at innovation and entrepreneurship through some of the historical events that lead to the foundation of Silicon Valley. In 2013, Stanford University only admitted 5.69% of almost 40,000 applicants to the prestigious school. 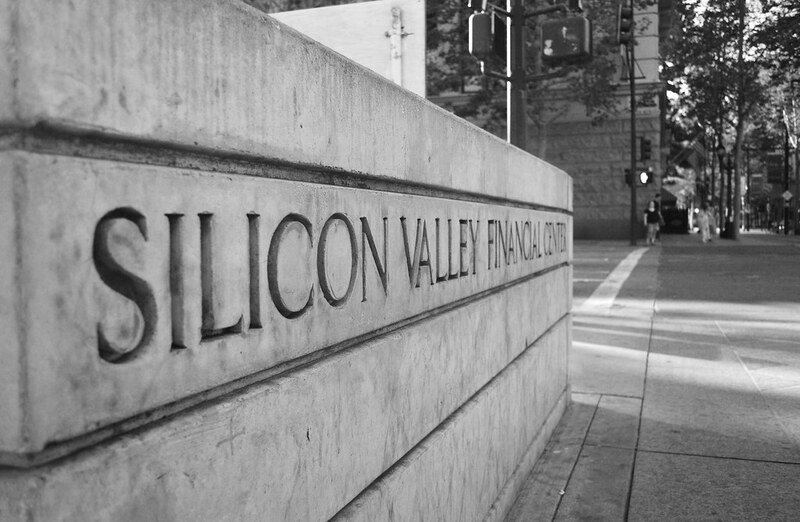 Stanford is a mainstay of Silicon Valley and it plays a prominent role in the Valley’s history. The school was founded in 1888 in the “Valley of the Heart’s Delight”, by Leland and Jane Stanford, in memory of their son who died of Typhoid at the age of 16. Leland Stanford Sr. was a former Senator, Governor of California, and one of four investors in the Central Pacific Railroad. In total, the couple invested $40MM in the school (over $1B in 2010 dollars). In 1924, Frederick Terman returned home to California after receiving his Doctorate in Electrical Engineering at MIT to become a professor at Stanford. Terman established a radio and electronics laboratory and was instrumental in encouraging one of his graduate students, David Packard, to start a company with another graduate student, Bill Hewlett. In 1938, the two formed Hewlett-Packard in a Palo Alto garage with $500. They decided the wording of their fledgling company in a coin toss. During World War II, the most brilliant minds on university campuses and corporate R&D facilities pitched in to help the war effort. Stanford was no exception and Fred Terman left to head Harvard’s top-secret Radio Research Lab (1941-1944). The 800-person laboratory devised ways to jam German radar and increase the odds that ally bombers would make it back in one piece. By the conclusion of the war, the US Office of Scientific Research and Development (OSRD) had invested $450MM in weapons R&D at universities. MIT received a whopping $117MM while Stanford received a measly $50,000. In 1946, Terman returned to Stanford as Dean of Engineering, full of ideas and military contacts. He was determined to turn Stanford into the MIT of the West. His first move was to recruit several of the most brilliant minds from the Radio Research Lab to join as faculty members. In 1951, Fred Terman launched the Stanford Industrial Park (now Stanford Research Park). His former students Dave Packard and Bill Hewlett moved into the park along with Eastman Kodak, General Electric, Lockheed Martin, etc. Close corporate ties would prove important for the Valley’s success. In 1955, Terman became Provost of Stanford and that same year, he wrote a letter to William Shockley, co-inventor of the transistor, to return to his native Palo Alto to be closer to his widowed mother and of course join the faculty at Stanford. Shockley had recently left Bell Labs in Murray Hill, NJ where he had worked since the mid thirties. Bill Shockley founded Shockley Semiconductor Laboratory with the goal of commercializing silicon transistors, instead of the germanium variety that was more common at the time. With Terman’s help, Shockley assembled an impressive team of young researchers, but after a little over a year the “Traitorous 8” left because of Shockley’s horrid management style. In 1957, Julius Blank, Victor Grinich, Jean Hoerni, Eugene Kleiner, Jay Last, Gordon Moore, Robert Noyce, and Sheldon Roberts founded Fairchild Semiconductor. The company successfully commercialized silicon transistors and would later commercialize the integrated circuit. Between 1966 and 1969, departing “Fairchildren” launched more than 27 new chip ventures. In 1968, Robert Noyce and Gordon Moore launched Intel. In 1969, Jerry Sanders, a sales rockstar at Fairchild, left with several colleagues to found Advanced Micro Devices (AMD). In 1972, Eugene Kleiner founded Kleiner Perkins Caufield & Byers, one of the preeminent venture capital firms in the valley today. In 1971, Electronics News, a weekly trade newspaper, published a series of articles entitled “Silicon Valley in the USA.” From that point on, the days of citrus and apricot orchards were numbered as the Valley transformed into the largest concentration of technological expertise in the world, with more than 6,600 companies employing 250,000+ people. Fred Terman and Bill Shockley are both founding fathers of Silicon Valley, Terman for his incredible influence on Stanford and Shockley for assembling a team of extraordinary engineers who would go on to transform the very face of the valley.